Duzzit Floor Wipes are perfect for use on ceramic and linoleum floors. These extra large, extra strong wipes are tough enough to eliminate dirt and grime and offer a conveniant way to clean the floors around your home or office. Simply attach a single wipe to your duster, mop and wipe the floor as normal, cleaning dirt, spills and other household stains. 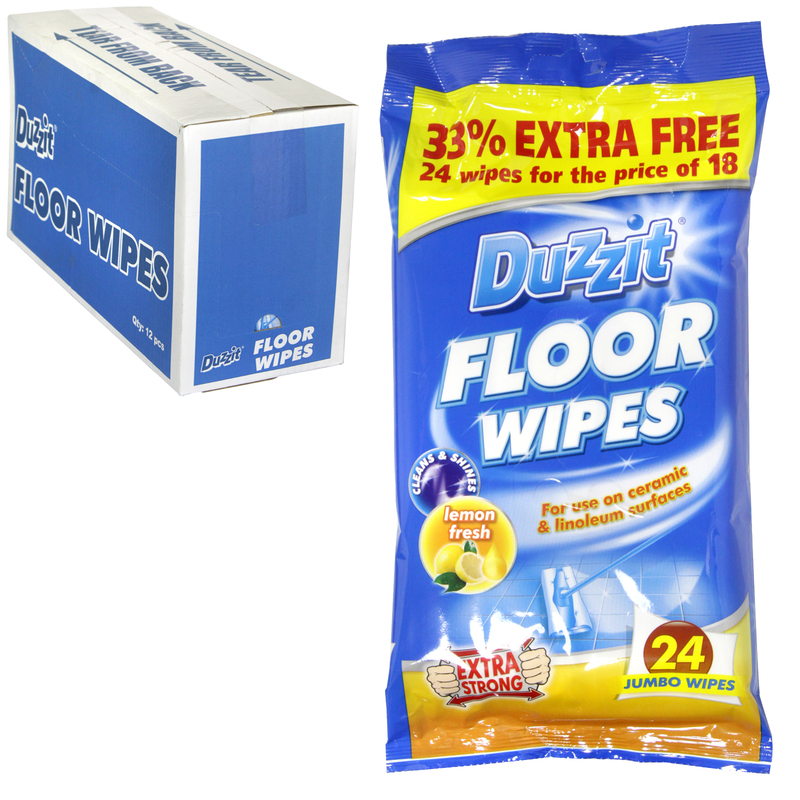 With these Duzzit Floor Wipes there is no need for water and the floor will dry in no time!. The handy resealable pack allows easy storage and offers a simple and practical way in which to clean your floors.